Viezu are back to Dubai this spring at our regular host venue Tariq Performance for our next round of car tuning training in Dubai. This excellent training facility is fully equipped with a rolling road, allowing observation of physical changes to engine performance. The venue is a perfect location for our ever popular 3-day Gasoline ECU Master File Writing and Tuning Course. The venue address is: Tariq Performance Dubai, UAE , Aweer Industrial Area, Ras Al Khor Road, Plot #39, B Block. 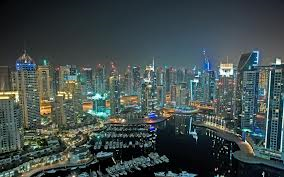 The country remained the fastest growing auto-mobile market in the world during 2013 and has won the bid for Expo2020. Dubai Autodrome is the home of UAE national motorsport, promoting UAE motor racing at national level. The 3-day course is set to run from 31st March to 2nd April, with an optional advanced master-class on the 3rd April. Package deals are available for multiple delegates and for those looking to purchase equipment. This complete tuning course is full of detail on how to read, write and develop ECU remapping files yourself, it covers many gasoline vehicles and leaves no stone unturned, including methods of tuning, tools and software. There will be a mix of classroom and very importantly real dyno time with hands-on tuning. Having trained many professionals across the world, this course has been designed and tailored to give an unsurpassed learning experience in ECU file writing. The course is business and life changing. Imagine being able to tune any car you want, without support or cost, writing your own files free! Now imagine setting up your own dealer network of tuners buying files from you. Many of our students have done just this. Delegate numbers are limited to ensure the best learning environment so act now to secure a place. A 50% deposit will ensure a seat with your name on it! For more details on our ECU tuning training and to view a brief video detailing file writing and remapping training courses, Click here!